Remodel Yes or No? | Would you remodel this kitchen? Would you remodel this kitchen? Remodel Yes or No? Here is an interesting post from JumbleJoy about a kitchen inside a house that no one has lived in since the 1950’s. Check out the bubblegum pink look. 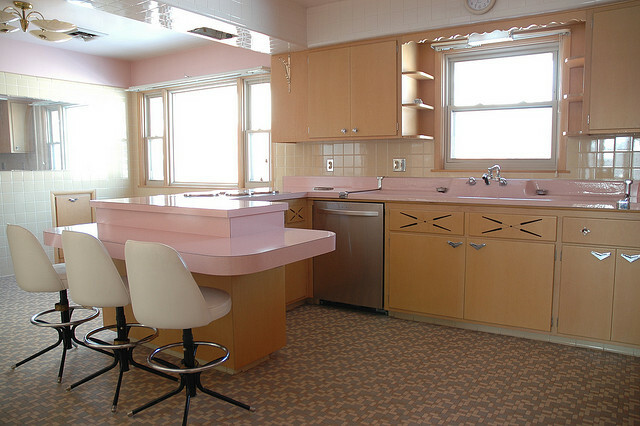 View this 1950’s Vintage Kitchen and original post.